Spain’s quasi-depression – an Austrian ‘bust’ or a monetary contraction? Or both? A couple of days ago I wrote a post on the behavior of prices in the ‘bust’ phase of an Austrian style business cycle. My argument was that the Austrian business cycle story basically is a supply side story and that in the bust there is a negative supply shock. As a consequence one should expect inflation to increase during the ‘bust’ phase. My post was not really about what have happened during the Great Recession, but it is obvious that the discussion could be relevant for understanding the present crisis. Overall I don’t think that the present crisis can be explained by an Austrian style business cycle theory, but I nonetheless think that we can learn something relevant from Austrian Business Cycle Theory (ABCT) that will deepen our understanding of the crisis. Unlike Austrians Market Monetarists generally do not stress what happened prior to the crisis. I do, however, think that we prior to the crisis saw a significant misallocation of resources in some countries. I myself in the run up to the crisis – back in 2006/7 – pointed to the risk of boom-bust in for example Iceland and Baltic States. Furthermore, in hindsight one could certainly also argue that we saw a similar misallocation in some Southern European countries. This misallocation in my view was caused by a combination of overly easy monetary conditions and significant moral hazard problems. This discussion has inspired me to have a look Spain in the light of my discussion of ABCT. My starting point is to decompose Spanish inflation into a supply and a demand component. I have used the crude method – the Quasi-Real Price Index – that I inspired by David Eagle developed in a number of posts back in 2011. I will not go into details with the method here, but you can read more here. This is my decomposition of Spanish inflation. The story prior to the crisis is pretty clear. Both demand and supply inflation is fairly stable and there are no real sign of strongly accelerating demand inflation. However, the picture that emerges in the “bust-years” is very different. As the graph shows supply inflation spiked as the crisis played out and has remained elevated ever since and we are now seeing supply inflation around 5%. However, at the same time demand inflation has collapsed and we basically have had demand deflation since the outbreak of the crisis. I would stress that my crude method of decomposing inflation assumes that the aggregate supply curve is vertical. That obviously is not the case and that likely lead to an overestimation of the supply side inflation. That said, I feel pretty confident that the overall story is correct. Hence, the Spanish story in my view provides some support for an Austrian-inspired interpretation of the crisis in the Spanish economy. As the crisis in Spain started to unfold the Spanish economy was hit by a large negative supply shock, which caused supply inflation to spike. There is clearly an Austrian style argument to be made here. Investors realised that they had made a mistake and therefore economic resources had to reallocated from unprofitable sectors (for example the construction sector) to other sector. With price and wage rigidities this is a supply shock. However, this is not the whole story. A purely Austrian interpretation of the crisis misses the main problem in the Spanish economy today – the collapse in aggregate demand. Despite the sharp increase in Spanish supply inflation headline inflation (measured with the GDP deflator) has collapsed! That can only happen if demand inflation drops more than supply inflation increases. This is exactly what have happened in Spain. In fact we have a situation where we have high suppply inflation AND demand deflation. What have happened is that the Spanish economy has moved from the ‘bust’ phase to what Hayek called ‘secondary deflation’. The ‘secondary deflation’ is the post-bust phase where a negative demand shock causes the economy to go into depression and a general deflationary state. This is a massively negative monetary shock and this is the real cause of the prolonged crisis. The ‘secondary deflation’ is not a natural consequence of an Austrian style boom-bust, but rather a consequence of a monetary contraction. In that sense the secondary deflation is more monetarist in nature than Austrian. In the case of Spain the monetary contraction is a direct consequence of Spain’s euro membership. If a country has a freely floating exchange rate then a negative supply shock – the bust – will cause the country’s currency to depreciate. However, due to Spain’s membership this obviously is not possible. The lack of depreciation of Spain’s currency de facto is monetary tightening (process that plays out is basically David Hume’s Price-Specie-flow story). In fact the monetary tightening in Spain has been massive and has caused demand inflation to drop from around 4% to today more than 5% (demand) deflation! This obviously is the real cause of the continued crisis in the Spanish economy. So while my decomposition of Spanish inflation seems to indicate that there has been an ‘Austrian story’ in the sense that there Spain has gone through of re-allocation (the negative supply shock) the dominant story is the collapse in aggregate demand caused by a monetary contraction. The discussion above in my view illustrates a clear problem with the Austrian story of the business cycle. I my view Austrians often fail to explain why a reallocation of economic resources will have to lead to a recession. Yes, it is clear that we will get a temporary downturn in real GDP in the bust phase, but there is nothing in ABCT that explains that that will turn into a depression-like situation as is the case in Spain. What would for example have happened if Spain had had its own currency and an independent monetary policy regime where the central bank had targeted nominal GDP – for example along a 6% NGDP growth path. Lets say that the entire initial Spanish downturn had been cause by a bubble bursting (it was not), but also that the central bank had been targeting a 6% NGDP growth path. Hence, as the bubble bursts real GDP growth decelerates sharply. However, as the central bank is keeping NGDP growth at 6% inflation will – temporary – increase. Most of the rise in inflation will be caused by an increase in supply inflation (but demand inflation will not drop). This is temporary and inflation will drop back once the re-allocation process has come to an end. Hence, there will not be a deflationary shock. Therefore, the drop in real GDP growth is a necessary adjustment to a bubble bursting. However, the drop will likely be rather short-lived as aggregate demand (NGDP) is kept “on track” due to the NGDP target and hence “facilitate” a smooth re-allocation of resources in the Spanish economy. Both critics and adherents of the ABCT misunderstand it if they think it is some sort of comprehensive theory of the boom, breaking point, and length/depth of the bust. It isn’t. As Roger Garrison has long insisted, the theory by itself is a theory of the unsustainable boom. It is a theory that explains why driving the market rate of interest below the natural rate through expansionary monetary policy produces a boom that contains endogenous processes that will cause that boom to turn to a bust. Again, it’s a theory of the unsustainable boom. ABCT tells us nothing about exactly when the boom will break and the precise factors that will cause it. The theory claims that eventually costs will rise in such a way that make it clear that the longer-term production processes falsely induced by the boom will not be profitable, leading to their abandonment. But it says nothing about which projects will be undertaken in which markets and which costs (other than perhaps the loan rate) will rise, and it tells us nothing about the timing of those events. We know it has to happen, but the where and when are unique, not typical, features of business cycles. … The ABCT is not a theory of the causes of the length and depth of recessions/depressions, but a theory of the unsustainable boom. …The ABCT cannot explain the entirety of the Great Depression. It simply can’t. And adherents of theory who make the claim that it can are not doing the theory any favors. What ABCT can explain (at least potentially, if the data support it) is why there was a recession at all in 1929. It argues that it was the result of an unsustainable boom initiated by an excess supply of money at some point in the 1920s. Yes, the bigger the boom, cet. par., the worse the bust, but even that doesn’t tell us much. Once the turning point is reached, there’s not a lot that ABCT can say other than to let the healing process unfold unimpeded. I think Steve’s description of ABCT is completely correct and in the same way as Steve doesn’t believe that ABCT can explain the entire Great Depression I would argue that ABCT cannot explain the Spanish crisis – or the euro crisis for that matter. Yes, there undoubtedly is some truth to the fact that overly easy monetary policy from the ECB contributed to creating a unsustainable boom in the Spanish economy (and other European economies). However, ABCT cannot explain why we still five years into the crisis are trapped in a deflationary crisis in the Spanish economy. The depressionary state of the Spanish economy – at this stage – is nearly fully a consequence of a sharp monetary contraction. The bust has clearly long ago run its natural cause and what is keeping the Spanish economy from recovering is not a necessary re-allocation of economic resources, but very tight monetary conditions in Spain. So to me the conclusion is pretty clear – Austrian Business Cycle theory do indeed provide some interesting and important insights to the boom-bust process. However, ABCT only explains a very limited part of the crisis in the Spanish economy and the euro zone for that matter. Had monetary policy been kept on track as the re-allocation process started the adjustment process in the Spanish economy would likely have been fairly painless and swift. Unfortunately that has not been the case and monetary policy has caused the Spanish economy to enter a ‘secondary deflation’ and clever Austrians know that that is not a result of a bust, but rather a result of a monetary disequilibrium resulting from a excessive demand for money relative to the supply of money. There is no reason to worry about about reflating a bubble. The bubble has been deflated long ago. PS The purpose of this post has been to discuss ABCT in the light of the crisis in Spain. However, the purpose has not been to tell the full story of Spain’s economic problems. Hence, it is clear that Spain struggles with serious structural problems such as extremely damaging firing-and-hiring rules. This structural problem significantly contribute to deepen and prolong the crisis, but it has not been the cause of the crisis. 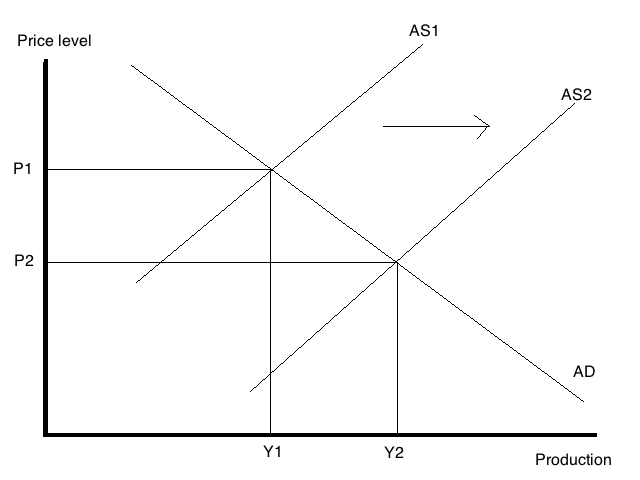 Mario Rizzo has an excellent post on Austrian Business Cycle Theory (ABCT). I think Mario do a good job explaining what ABCT is and what it is not. The Austrian theory rests, not on a catalyzing effect of core inflation or headline inflation, but on changes inrelative prices that cause resources to be allocated in ultimately unsustainable ways. The Great Depression was not preceded by much inflation because productivity improvements allowed for increases in bank credit without increasing (by much) the price level. 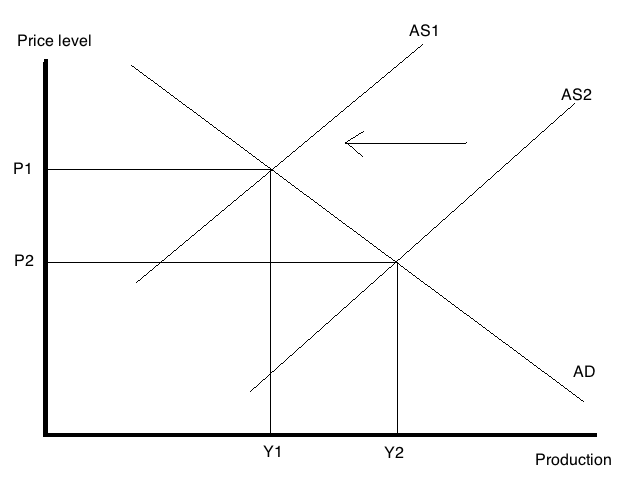 Hayek said repeatedly that the price level aggregate can hide the distortions basic to the cycle. This point is especially important in the early stages of recovery when there is so much unused capacity and previous investment pessimism that expansions in bank credit (not meaning base money) may be returning to sustainable levels and inflation in the usual sense is unlikely. Nevertheless, as the recovery proceeds, there is a danger that maintenance of low interest rates by the central bank for long periods can induce a distorted character of investment, even as the total amount of investment measured throughout the economy has not recovered. The policy-relevant point is that if the central bank decides not to allow interest rates to rise until aggregate investment has recovered to boom levels, it will have waited too long. The character of the investment will be distorted. Malinvestments will set in – even without inflation. I do not think that the Austrian theory says anything unique about inflation – in the sense of increases in the aggregate price level – beyond the warning that aggregates of this sort can conceal the theoretically-relevant magnitudes for understanding business cycles. I think this is a completely fair and accurate description of Austrian Business Cycle Theory (at least the Hayek-Garrison version of ABCT). That said, I do have serious problems with ABCT as a general business cycle theory. First of all while I don’t think the so-called Cantillon effect is completely irrelevant I don’t think it is very important empirically and the Cantillon effect seems to be based on the assumption that some agents have adaptive or static expectations and/or asymmetrical information (these assumptions are highly ad hoc in nature). Second, ABCT is also based on the assumption that credit markets are imperfect – that might or might not be the case in the real world, but Austrians often fail to state that clearly. I hope to follow up on these issues in a later post. That said, unlike some other Market Monetarists I don’t think Austrian Business Cycle theory is irrelevant. Rather, I think that (variations of) ABCT will be helpful in understanding the “boom” in for example certain euro zone countries prior to 2008 – and it certainly helped me in my own research on for example Iceland and the Baltic States during the “boom years” of 2006-7. However, empirically I think that both the US and particularly in euro zone are in the secondary deflation phase of the business cycle (in the sense that NGDP has fallen well below the pre-crisis trend), which as Mario notes ABCT has little to say about. As a consequence I don’t think that monetary easing in at the present state of the cycle is likely to lead to a Austrian style boom with distortion of relative prices – at least not if monetary easing is conducted with-in a clear rule based set-up like NGDP level targeting. In a sense one can say that my biggest problem with ABCT is not so much ABCT in itself, but rather that many Austrian economists today seems to believe that we are in necessary “bursting of the bubble”-phase of the cycle rather than in the secondary deflation phase. Concluding, while I do not think that ABCT is a general theory of the business cycle and I would certainly also stress the “secondary deflation” part of the cycle much more than the “boom” phase of the cycle I nonetheless think that Mario’s description of Austrian Business Cycle Theory is excellent and I hope that Austrian and non-Austrians alike will read it. See my earlier post on the Rothbardian version of ABCT and Steve Horwitz excellent reply to that post. Steve’s reply to me was very much in line with Mario’s views. I have promised to write an article about monetary explanations for the Great Depression for the Danish libertarian magazine Libertas (in Danish). The deadline was yesterday. It should be easy to write it because it is about stuff that I am very familiar with. Friedman’s and Schwartz’s “Monetary History”, Clark Warburton’s early monetarist writings on the Great Depression. Cassel’s and Hawtrey’s account of the (insane) French central bank’s excessive gold demand and how that caused gold prices to spike and effective lead to an tigthening of global monetary conditions. This explanation has of course been picked up by my Market Monetarists friends – Scott Sumner (in his excellent, but unpublished book on the Great Depression), Clark Johnson’s fantastic account of French monetary history in his book “Gold, France and the Great Depression, 1919-1932” and super star economic historian Douglas Irwin. But I didn’t finnish the paper yet. I simply have a writer’s block. Well, that is not entirely true as I have no problem writing these lines. But I have a problem writing about the Austrian school’s explanation for the Great Depression and I particularly have a problem writing about Murray Rothbard’s account of the Great Depression. I have been rereading his famous book “America’s Great Depression” and frankly speaking – it is not too impressive. And that is what gives me the problem – I do not want to be too hard on the Austrian explanation of the Great Depression, but dear friends the Austrians are deadly wrong about the Great Depression – maybe even more wrong than Keynes! Yes, even more wrong than Keynes – and he was certainly very wrong. So what is the problem? Well, Rothbard is arguing that US money supply growth was excessive during the 1920s. Rothbard’s own measure of the money supply apparently grew by 7% y/y on average from 1921 to 1929. That according to Rothbard was insanely loose monetary policy. But was it? First of all, money supply growth was the strongest in the early years following the near-Depression of 1920-21. Hence, most of the “excessive” growth in the money supply was simply filling the gap created by the Federal Reserve’s excessive tightening in 1920-21. Furthermore, in the second half of the 1920s money supply started to slow relatively fast. I therefore find it very hard to argue as Rothbard do that US monetary policy in anyway can be described as being very loose during the 1920s. Yes, monetary conditions probably became too loose around 1925-7, but that in no way can explain the kind of collapse in economic activity that the world and particularly the US saw from 1929 to 1933 – Roosevelt finally did the right thing and gave up the gold standard in 1933 and monetary easing pulled the US out of the crisis (later to return again in 1937). Yes dear Austrians, FDR might have been a quasi-socialist, but giving up the gold standard was the right thing to do and no we don’t want it back! But why did the money supply grow during the 1920s? Rothbard – the libertarian freedom-loving anarchist blame the private banks! The banks were to blame as they were engaging in “pure evil” – fractional reserve banking. It is interesting to read Rothbard’s account of the behaviour of banks. One nearly gets reminded of the Occupy Wall Street crowd. Lending is seen as evil – in fact fractional reserve banking is fraud according to Rothbard. How a clever man like Rothbard came to that conclusion continues to puzzle me, but the fact is that the words “prohibit” and “ban” fill the pages of Rothbard’s account of the Great Depression. The anarchist libertarian Rothbard blame the Great Depression on the fact that US policy makers did not BAN fractional reserve banking. Can’t anybody see the the irony here? “Fractional-reserve banking arrangements cannot then be inherently or inescapably fraudulent. Whether a particular bank is committing a fraud by holding fractional reserves must depend on the terms of the title-transfer agreements between the bank and its customers. Another thing that really is upsetting to me is Rothbard’s claim that Austrian business cycle theory (ABCT) is a general theory. That is a ludicrous claim in my view. Rothbard style ABCT is no way a general theory. First of all it basically describes a closed economy as it is said that monetary policy easing will push down interest rates below the “natural” interest rates (sorry Bill, Scott and David but I think the idea of a natural interest rates is more less useless). But what determines the interest rates in a small open economy like Denmark or Sweden? And why the hell do Austrians keep on talking about the interest rate? By the way interest rates is not the price of money so what do interest rates and monetary easing have to do with each other? Anyway, another thing that mean that ABCT certainly not is a general theory is the explicit assumption in ABCT – particularly in the Rothbardian version – that money enters the economy via the banking sector. I wonder what Rothbard would have said about the hyperinflation in Zimbabwe. I certainly don’t think we can blame fractional reserve banking for the hyperinflation in Zimbabwe. Anyway, I just needed to get this out so I can get on with writing the article that I promised would be done yesterday! PS Dear GMU style Austrians – you know I am not talking about you. Clever Austrians like Steve Horwitz would of course not argue against fractional reserve banking and I am sure that he thinks that Friedman’s and Schwartz’s account of the Great Depression makes more sense than “America’s Great Depression”. PPPS David Glasner also have a post discussing the Austrian school’s view of the Great Depression. Update: Steve Horwitz has a excellent comment on this post over at Coordination Problem and Peter Boettke – also at CP – raises some interesting institutional questions concerning monetary policy and is asking the question whether Market Monetarists have been thinking about these issues (We have! ).